While the rest of Canada throws itself a half-billion-dollar 150th birthday this weekend, Jess Housty could justifiably celebrate the 14,000th birthday of her nation – the Heiltsuk Nation in Bella Bella, B.C. This spring, news of a discovery in the small community on the central B.C. coast went around the world. Archaeologists had uncovered an ancient settlement complete with tools used by the Heiltsuk, who still live there today. It was billed as a monumental discovery (dating back well before the Egyptian pyramids), but this was old news to Ms. Housty, a band councillor who grew up in Bella Bella. "You have all these people in the community rolling their eyes, saying, 'They found it because we told them where to look for it,'" she says. "It wasn't just some magical, scientific intuition that led them there. It was deep local knowledge and local people working on the crews." As crowds pack waterfronts in their cities to admire dazzling pyrotechnics, Ms. Housty and members of other Indigenous groups across the country will be sitting out the festivities. To many, from the Nisga'a First Nation in B.C. to the Mi'kmaq on the East Coast, celebrating the last 150 years of human existence on this land is the equivalent of saving a few pages out of a thick history tome and torching the rest. Activists say the wounds from colonization are still raw today. Indigenous men have a life expectancy nine years shorter than the rest of the population; for Indigenous women, it's six years. They have higher rates of unemployment and get paid less for the work they do. Suicide, especially among Indigenous men, is a leading cause of death. Living this reality while the rest of the country participates in a massive celebration for the sesquicentennial hasn't sat well with Indigenous people. On June 28, a group of protesters drove to Ottawa from Sault Ste. 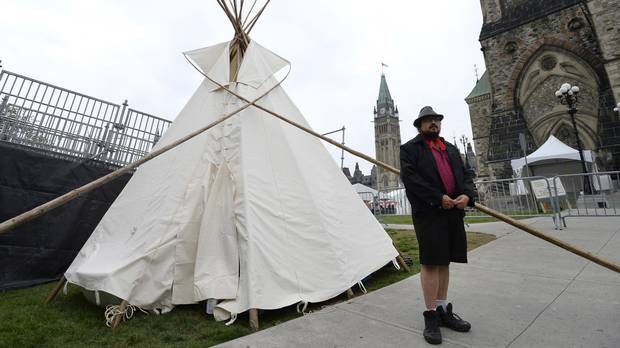 Marie to set up a teepee on Parliament Hill on what they said was unceded Algonquin territory; several were arrested. Members of Idle No More have organized an Indigenous Day of Action on July 1 to celebrate human rights and their right to self-determination. This past winter, Cree artist Kent Monkman mounted a show in response to Canada 150. Called Shame and Prejudice: A Story of Resilience, it's a biting look at Canada's history of colonialism from an Indigenous perspective. "When you frame things as though this 150-year milestone is the be-all and end-all, it's as though you're saying everything that came before wasn't important," Ms. Housty says. On the eve of Canada's 150th, four Indigenous people explain how, for them, history began long before Confederation. Jess Housty is a vocal critic of resource development in B.C. that would hurt the Heiltsuk way of life. Her son’s name, Noen, is a shortening of ‘No Enbridge,’ a reference to the oil giant behind the Northern Gateway pipeline. Ancestral home: Bella Bella, B.C. According to the stories that Jess Housty grew up with, her people inhabited their land as far back as the last Ice Age. It took an archeological dig this past spring to confirm what the locals had long known. These same stories told of dozens of Heiltsuk villages scattered along the central coast of B.C., though disease wiped out much of the population. Ms. Housty can trace family names back at least eight generations, and their creation story links her directly to Bella Bella's original inhabitants. From her window at home, she can see an old-growth forest, a busy harbour of local boats and even the surfacing of the occasional humpback whale. She spends more time outside than in, on harvesting missions with her family to collect seaweed, herring, eggs, cedar bark, salmon or berries. Save for the use of slightly more sophisticated tools, Ms. Housty says her lifestyle mimics that of her ancestors. But she was pulled out of that environment as a young adult, when she moved to Vancouver Island to attend the University of Victoria. It was a rude awakening to the reality that this way of life had little value outside of her community. Previous generations of Ms. Housty's family had grown up in the time of the federal government's potlatch ban, which lasted from 1884 to 1951. The potlatch is one of the most important cultural institutions among First Nations on the Northwest coast, and the ban was brought about as a high-level assimilation tactic meant to discourage the communal sharing of goods and land in favour of private ownership. When Ms. Housty sought permission from an instructor to miss an exam in a class so she could travel to Bella Bella for a potlatch, she ended up on the verge of failing the class. "In the professor's view, it sounded like a glorified family reunion," she recalls. The spirit of protest is strongest for Ms. Housty back home, where she's been one of the most vocal critics of resource development that would hurt the Heiltsuk way of life. 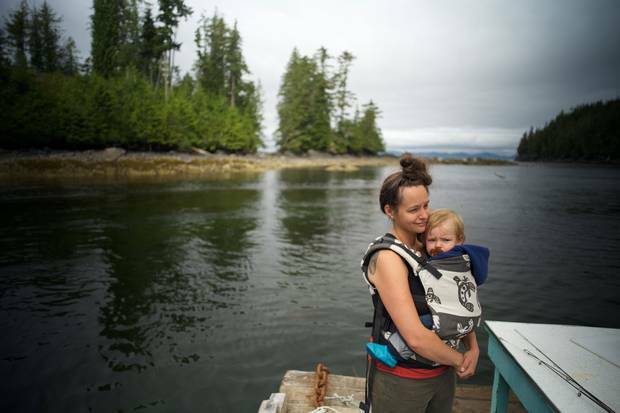 In the midst of protesting the Northern Gateway pipeline, she had a son and named him Noen – as in "No Enbridge." She won't be ringing in Canada 150 with him; the very basis for the celebration scares her. "I think that narrative of erasure gives us implicit permission for so many damaging, destructive things that it's easier for society as a whole to turn a blind eye to. They can just pretend that indigenous culture is extinct or no longer authentic past a certain point or no longer relevant." Ancestral home: Big River First Nation, Sask. When humans first travelled to Earth from another world, they stepped onto this lush new land first with their toes and then dropped their heels, according to one of the creation stories shared by the Cree in Saskatchewan. That style of toe-heel walking is reflected today in their traditional dance. Sylvia McAdam, who grew up in Big River First Nation in the centre of the province, is used to this story and others being dismissed as fable by much of the rest of Canada, and it's a major source of frustration for her. "When you look at the narrative of Adam and Eve and how Jesus walked on water, nobody questions that." The Cree don't have the libraries European settlers did, but their history is recorded on the walls of the rocks, in songs that have been passed down through generations, says Ms. McAdam, a co-founder of Idle No More. "Are they less worthy because they're being compared to the colonial systems?" she asks. On a personal level, Ms. McAdam can trace the name of the male leader in her community, the Okimaw, six generations back to a time before a treaty was signed between her ancestors and the federal government. Ms. McAdam understood the tensions that arose post-treaty from a young age – and came to terms with what being Cree outside of her home in Big River First Nation really meant. It was the 1970s, and she had left her home for the first time as a child to drive with her family to Lethbridge, Alta. Walking down the streets of the city, she peered in the windows, too spooked to enter: Signs outside said "No Indians Allowed." It was comforting to return home, to where her identity didn't make her a pariah, but the seven-hour journey back was often tense. Her family avoided driving through bigger towns like Medicine Hat, since others from the reserve had stories about being hassled by police there. Those experiences left an impression, and Ms. McAdam has raised her children to identify as members of the Cree Nation, not as "Canadian." She speaks yearningly about the life of her people pre-contact. At that time, she says, Indigenous women enjoyed unparalleled freedom to wander safely on the land, to be equal partners to men in providing for their families. Before being environmentally conscious was a fad, a belated response to the toll human civilization had taken on the earth, Ms. McAdam says her ancestors followed that philosophy. In the time before European settlement, forests full of tamarack, birch and pine trees were abundant and so were the cougars, wolves and bears that lived there. Much of the boreal forest in Big River has been decimated now, and blockades have been placed on the road to her people's traditional hunting lands. "We hear the criticism of not having the tools of Europeans but people forget that Indigenous people lived by sustainable, environmentally guided laws. We didn't drive lands into destruction." Melaw Nakehk’o came to understand her Dene history in Fort Simpson by travelling the land and hearing stories. In the early years of learning to tan moose hides in Fort Simpson, NWT, Melaw Nakehk'o did what she had to do to acquire instruction: She brought her Dene elders some tobacco and matches as an offering and asked a question. Initially, it was a maddening experience, as they never gave her clear-cut responses. They wanted her to understand that learning was a slow process. "I would get this huge, long story and I'd have to sit there and be like, 'Okay…thanks…how does this have anything to do with me?'" Years later, after gaining other knowledge, she started making sense of the experience. Ms. Nakehk'o had been hard-wired to communicate via direct questions and direct answers; she had to unlearn that Western style of information exchange and learn the one her Dene elders – and their ancestors – used. "It was definitely a decolonizing process. Decolonizing the way I'd ask for help or even learn things," she said. 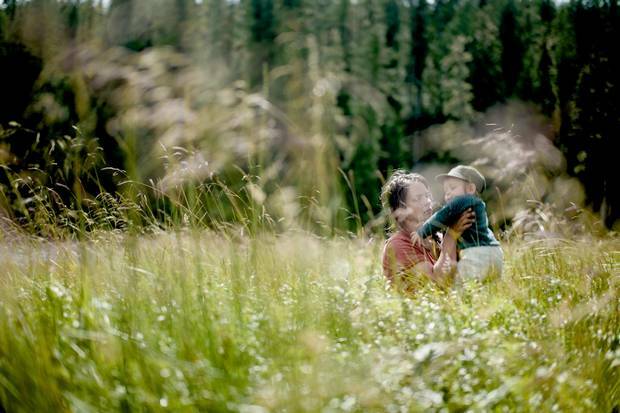 She came to understand her people's history in Fort Simpson in the traditional way: by traversing the land with her family and hearing stories about an event that happened by a stream five generations earlier, or tales of a family that lived by a tangle of trees long before Ms. Nakehk'o's grandparents were even born. One of the Dene creation stories says the land they inhabit was designed by the creator as a cruel environment where humans initially struggled until animals offered instruction on how to live there. Taking in this history was a decolonization process, too, one her father, aunts and uncles had to go through in a far more dramatic way after attending residential schools, where they were forbidden to speak in Dene, let alone consider histories that conflicted with the Western settler narrative. Canada's last residential school was closed in 1996. 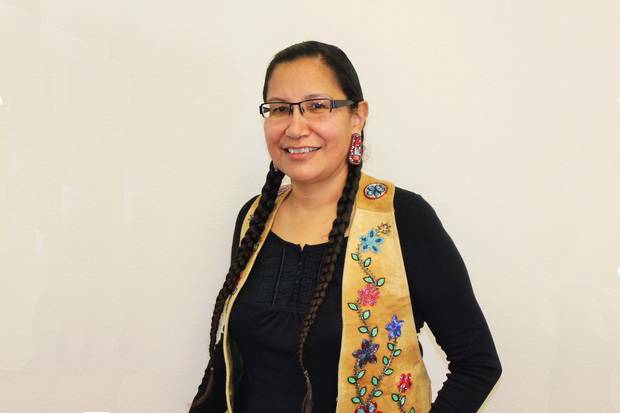 In adulthood, Ms. Nakehk'o's father became a chief in the community, and Ms. Nakehk'o grew up attending meetings with him, sleeping under tables while the adults discussed the threats to their way of living. What is ingrained in her memory most deeply was the solemn advice the elders offered to hold on to the treaties signed with the Canadian government. "The treaty was for friendship, that we would work together. They were visitors and we would allow them to come to our land. 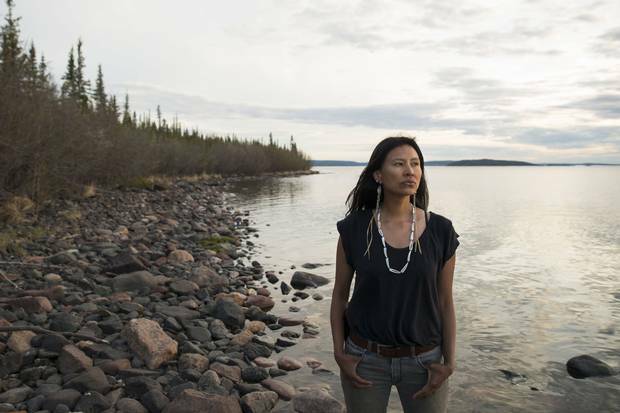 We would continue life – to be Dene," she said. This agreement was between two nations: the Canadian one and the Dene one. But she's seen serious violations of it throughout her life. In the nearby community of Norman Wells, she knows of Dene who would go away for the season to hunt and return to find their homes destroyed in the name of oil and gas extraction. Such betrayals make celebrating Canada's sesquicentennial the last thing Ms. Nakehk'o wants to do this weekend. She's boycotting local festivities in Yellowknife, where she now lives, to perform a small act of resistance: tanning moose hides at Dechinta University, which offers university credit for the learning of traditional skills. "We've always been true to that agreement we signed with Canada," she said. "The reality is the last 150 years has been a horrible history." Ossie Michelin identifies as a Labradorian first, then as Indigenous. He struggles with labelling himself as Canadian. When Ossie Michelin travels from Montreal, where he spends part of his time, back home to the small community of North West River in central Labrador, he's overcome with a craving for caribou meat. It tastes wild – like home – and is cooked hot and fast, like a ribeye steak. But for the last few years, he's had to settle for tough cuts of moose, prepared low and slow instead. The local Indigenous population – mostly Inuit and Innu – had relied on the caribou as a dietary staple for generations and were careful to maintain the size of the herd for their grandchildren. In the early nineties, 800,000 roamed the lands, but now they're down to less than 10,000, due in large part to habitat destruction. To protect the ones left, the Newfoundland and Labrador government banned hunting the George River caribou herd in 2013. "It's really affecting us, our culture, our way of life, food security," Mr. Michelin says. The Inuit in North West River, Labrador, like to say they have grandmothers who have been on the land "forever," but Mr. Michelin's own family's history traces back about 300 years. They were among the first fur trappers in the area, based out of a Hudson's Bay trading post, capturing beaver, fox, marten and mink, just as Mr. Michelin's father did when he was growing up. His family home is 50 feet from the water on a peninsula in a community that's a series of plateaus. 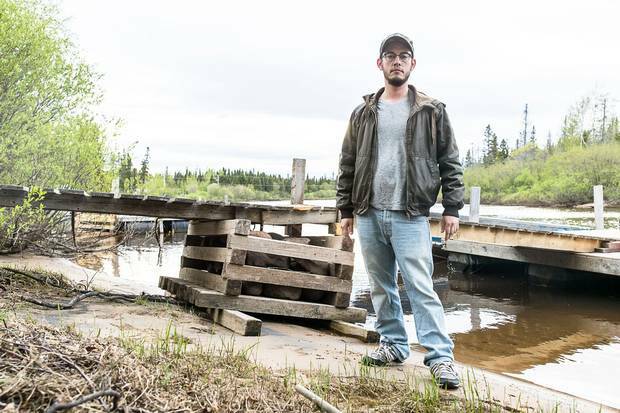 He knows, both from an archaeologist in his community and from oral history, that where he grew up was a spot people have come to for game and fish since the glaciers retreated. In the 1990s, he had his first moment of understanding his corner of Labrador as a piece of a much larger country. Some of the Innu families he knew in town were protesting the conduct of pilots at the nearby Goose Bay NATO base. Many pilots trained by flying low and disturbing Innu camps, scaring away the wildlife being hunted and blowing exhaust over the Innu. Several protesters who blocked the runway were jailed. For Mr. Michelin, this was an awakening to his own identity and what it meant to be Indigenous in the broader context of Canada. He and his community see a much greater threat from the outside now: a multi-billion-dollar hydroelectric project in nearby Muskrat Falls. The land behind the dam is contaminated with heavy metals and Indigenous groups fear the project could lead to flooding, spreading the contamination to the land and waterways they depend on for fishing and hunting. It would put Mr. Michelin's family's way of life at risk. He identifies as a Labradorian first, then as Indigenous. He grapples with labelling himself Canadian. "It's complicated, you know?" Mr. Michelin says. "It's kind of the way you'd feel towards an abusive relative. It's someone you have a lot of good memories with but they have messed you up over the years." Dakshana Bascaramurty is a national reporter at The Globe and Mail. Editorial: After 150 years, Canada’s Indigenous citizens are finally being heard Canada is indeed one of the greatest societies in history. By properly honouring Indigenous Canadians, we can make it even greater. 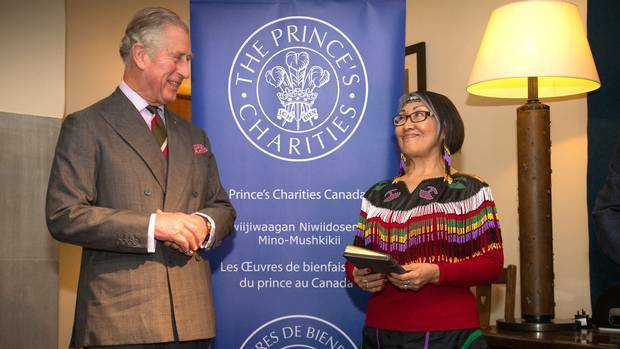 Prince Charles’s charities work to undo past wrongs through reconciliation Miriam Katawazi explains the work Prince’s Charities Canada is doing to promote Indigenous languages, job creation and nutrition. 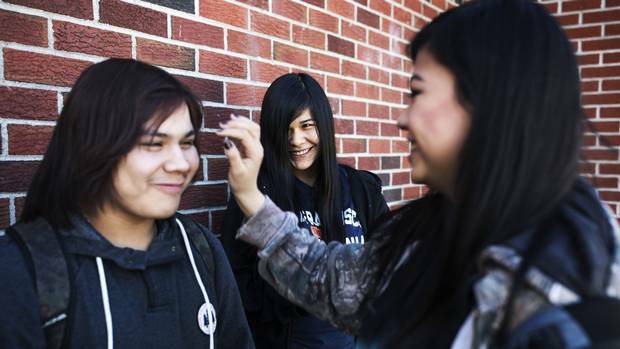 In Northern Ontario, an Indigenous pupil finds hope for success with a coach in her corner For some Indigenous students, graduating from high school seems like an impossible dream, writes Caroline Alphonso. But a school district in Northwestern Ontario has found a way to help many finish their studies – and plan for a brighter future.